Stop the press! I bought a toner. Benton Aloe BHA Skin Toner, to be exact. It’s not something I do often. I don’t care about toners. My skin can do without them. But I DO care – A LOT – about salicylic acid. My oily t-zone NEEDS it to get rid of the blackheads that love to set up camp there. Whether it’s in exfoliant, moisturiser or toner form, it matters not. So, this time, toner is it. Am I regretting it? Exfoliant: it dissolves the “glue” that holds skin cells together so they can slough off and reveal the brighter and smoother skin underneath. Pore unclogger: it gets inside the pores and removes all the excess oil, dead cells and other crap that’s clogging them up and giving you breakouts. Skin soother: it has anti-inflammatory properties that soothe redness and irritations. Because it goes where no one other exfoliant goes – deep into the pores – salicylic acid helps treats blackheads, whiteheads and pimples AND keeps them from coming back. No crap in the pores = no breakouts. Benton Aloe BHA Skin Toner only has 0.5% salicylic acid. That’s lower than I usually go for so I wasn’t sure how well it would perform. Luckily, salicylic acid didn’t disappoint. Even at 0.5% it did the exfoliating job well – and, at such a low dose, it’s much gentler for sensitive skin, too. 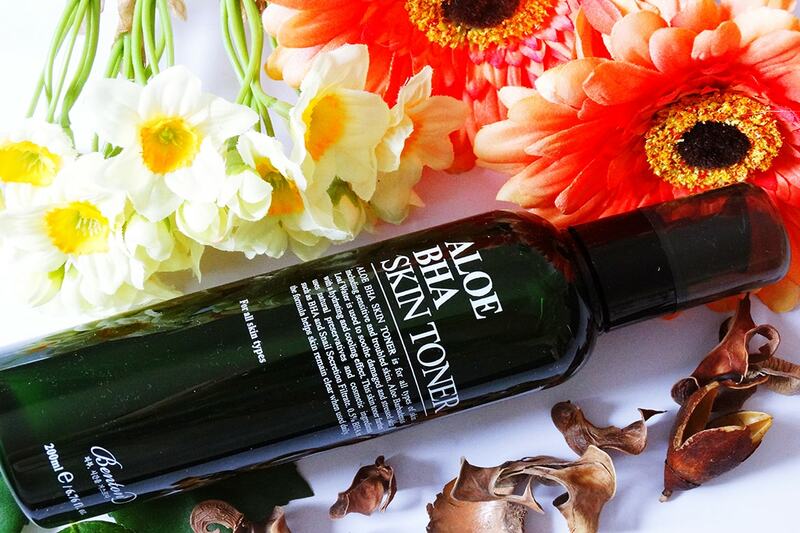 Asian toners tend to be way more hydrating than Western toners and Benton Aloe BHA Skin Toner is no exception. This stuff is loaded with sodium hyaluronate, a form of hyaluronic acid can hold up to 1000 times its weight in water. Here’s how it works: sodium hyaluronate attracts all that water from the air and locks it into your skin. This new infusion of moisture makes your skin softer to the touch, plumps it up so any fine lines and wrinkles look smaller and gives it a dewy glow. Yep, this is snail mucin. And nope, it’s not sticky and slimy when you put it on your face. Phew! Snail slime is one of the most moisturising substances I’ve ever tried in my life. It makes your skin SO soft and smooth. No wonder the Koreans love it so much. Snail mucin became a skincare sensation when the Koreans learned snail farmers’ wounds healed faster. So they decided it must help acne heal faster too. Makes sense, right? Maybe so. But science hasn’t proven that yet. Still, I have friends who suffer from acne and they swear that when they use products with snail mucin, their skin does heal faster. Make of that what you will. Personally, if I had acne, I wouldn’t rely on snail mucin to heal it. But if it happened to be in a product with salicylic acid, benzoyl peroxide or another acne fighter, why not? If it turns out it works, awesome! If not, no harm done. Related: Why The Heck Is There Snail Slime In My Skincare? I use Benton Aloe BHA Skin Toner on my t-zone straight after cleansing. 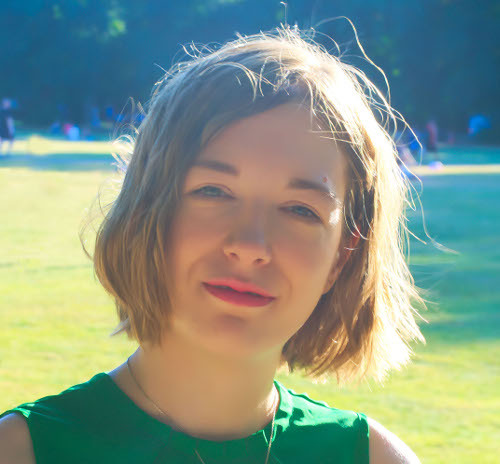 Its texture is so lightweight – just slightly thicker than water – and absorbs immediately into my skin without leaving a greasy residue behind. The first thing I’ve noticed is how hydrating it is. Since I’ve moved to London, my skin is on the dry side so it needs all the moisture it can get. But there’s nothing greasy or occlusive about it. Oily skin will love the extra moisture just as much. It also gives my skin a lovely glow. But what I truly wanted was a toner that helped me get rid of blackheads. Does it deliver? Yes. It does the job more slowly than other salicylic acid products I’ve tried (The Ordinary Salicylic Acid 2% Solution, for example) but that’s to be expected. Benton Aloe BHA Skin Toner has only a sprinkle of salicylic acid compared to them. Personally, I’m going back to TO when I’ve finished my bottle. My skin can take a higher dose of salicylic acid so why make the healing process slower? But if you have sensitive skin that gets irritated easily or are already using powerful prescription actives like tretinoin and want to keep your exfoliation game as gentle as possible so as not to overwhelm your skin, this’ll do the job fine. Benton Aloe BHA Skin Toner has a watery texture that deeply hydrates skin and slowly gets rid of blackheads and blemishes. Have you tried Benton Aloe BHA Skin Toner? Share your experience in the comments below. I love this toner, been using it for two years now. I use stronger concentrations of BHA in the evening (TO or Cosrx) and this one in the morning, mostly for its hydrating qualities but given my acne-prone skin, a lower dose of BHA does not hurt even in the morning. I bought it for my acne-prone sister as well and it’s done wonders to her skin. Tatiana, glad to hear it’s working so well for you. It’s a great toner, isn’t it? Hey can I ask how often you should or can use it in the beginning? I have sensitive skin with late acne, so I don´t want to irritate it unneccesarily. Souzy, if you have sensitive skin, try to use it three times a week and see what happens. If your skin is fine with it, you can slowly increase frequency.